You can tell by our doctored photo that Tom Naratil loves UBS Global Wealth Management. Tom has been in the industry since 1983, getting his start at Paine Webber, and has been tasked with implementing Zurich’s Swissness strategy for UBS Americas. Tom has now been working for the Swiss as long as he had during his tenure before UBS bought Paine Webber. He talks about UBS being a boutique firm with a global presence. But don’t mistake boutique with advisor friendly or advisor-centric culture from the Paine Webber or Kidder Peabody days. Tom is a corporate card-carrying global citizen of Swissness now. He has been drinking Swissmiss flavored Swissness kool-aid for 17 years. He was groomed most recently in Zurich before taking over as President of Americas. Ironically, the advisor-centric culture that Tom fell in love with at Paine Webber, is the very culture he has been tasked to dismantle. He shouldn’t be underestimated, and neither should UBS’s commitment to replace advisor individuality with their corporate Swissness. Tom co-manages Global Wealth Management with German banker Martin Blessing. In February, UBS combined its wealth management business with its U.S. brokerage business. UBS global wealth division manages about $2.3 trillion across the globe. Tom is President of Americas, UBS in addition to being a member of UBS Group AG’s Executive Board. According to Mr. Naratil’s LinkedIn page, Tom is working with advisors and UBS’s clients in the Americas. His American advisors account for about half of UBS’s global assets. To reign in all of that Americanization of UBS that ran rampant under Bob McCann, instill Swissness into UBS Americas, and to carry out the mandate to improve the unit’s profitability. At the beginning of 2016, Tom Naratil replaced Bob McCann who was widely respected by UBS U.S. advisors. Mr. McCann joined UBS during one of the biggest crisis scenarios an executive could dream up. Mr. McMann is widely credited, especially by advisors, for stabilizing the firm at a tumultuous period and then guiding UBS through a period of growth. However, Mr. McCann’s growth strategy came at a cost. When he left the President role to become Chairman of the Americas UBS had over $3 billion on its balance sheet from his aggressive recruiting in forgivable advisor recruiting notes. Tom Naratil has also stepped into the UBS President role during a different kind of tumultuous time. One where Zurich’s patience with UBS Americas has been strained – a time when the Swiss are ready to begin transforming UBS Americas to embody a culture that is more like them. Tom’s mandate is to facilitate the transformation of UBS Americas, fundamentally changing UBS’s view and the relationship of the American advisors and the clients they manage. Just look at what has been implemented in his first two years. Tom is clearly on a mission. When Tom’s reign is over someday, we suspect he will be viewed very differently by U.S. advisors than Mr. McCann. Tom has been swiftly carrying out his Swissness transformation strategy. His mandate is to increase profitability and to begin the transition of making UBS Americas more like UBS Switzerland. Zurich seems to have tasked the right guy for the mission. In just his first two years Tom has been busy. We can’t think of another President who has so rapidly changed an advisor force client relationship culture. Advisors should consider focusing more on Tom’s actions than his words chosen for the media. Did away with competitive recruiting deals for advisors. Cut advisor recruiting by 40%. Eliminated the regional management structure. Cut advisor training by 30%. Removed UBS from the Broker Protocol. While leaving protocol is the ultimate slap in the face to advisors, the way he exited protocol reveals even more about Tom’s view of advisors. UBS purposefully positioned their protocol exit to have the most negative impact on advisors as possible. They followed Morgan Stanley in protocol reporting misdirection and only gave their advisors a few-days’ notice. Created one of the most restrictive non-solicit and non-contact provision in the industry. Actually tried to sneak in the non-solicitation provision as retroactive to advisor bonus payments. When the advisor deception was caught, he apologized to advisors on a conference call and removed retroactive non-solicitation. But after he hung up on that call, he emailed all advisors that while 12-month non-solicitations won’t be required for 2017 they WILL be required for 2018 bonuses that are paid in February 2019. Launched UBS Robo Advisor called UBS Advice Advantage to target the Mass Affluent and compete with Merrill Edge. Mr. Naratali is under significant pressure from Zurich to keep making cuts in costs and advisor’s legal access to their clients if the advisor leaves. Q4 2017 earnings results were far from spectacular. Advisorhub reported that UBS lost $500 million in assets compared to Morgan Stanley’s inflow of $20.9 billion and Merrill Lynch’s $18.2 billion of asset inflow during the same period. UBS lost 39 U.S. advisors adding to the 54 advisors lost in Q3. Q1 2018 earnings are another bad sign for U.S. advisors. While UBS beat expectations as a whole, firm profitability was primarily driven by the UBS investment banking division. Analysts aren’t impressed with the Wealth Management division results. And neither is Zurich. The stock price today is right at what it was a year ago. Q1 wasn’t a game changer for Wealth Management but just another reinforcement to the Swiss conviction of their UBS Americas Swissness strategy. The foundation has been laid in the first two years for more comp changes, more cuts, and more Swissness. Statements have already been made from UBS that getting advisors focused on selling more loans and banking products is a priority for 2018. UBS is a banker at their fundamental core first and foremost. Can advisors expect to be penalized if they don’t sell enough banking products this year? Perhaps next year. But UBS isn’t messing around. They are serious about reigning in UBS Americas’ independence. They are serious about their Swissness. Before you can start paying advisors like banker relationship managers a foundation for transition must be laid. UBS would have to institutionalize the client’s relationship with UBS. 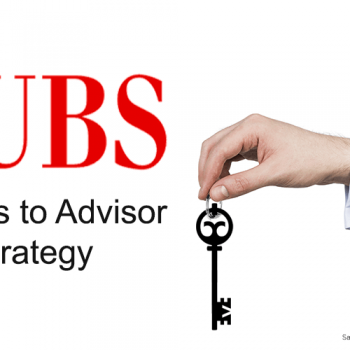 To do this UBS would need to pull out of protocol, establish strict non-solicitation agreements to change the culture of the client belonging to the advisor, where the advisor is merely servicing the relationship between the client and UBS. You have to get advisors to think and act more like bankers and get them more focused on generating significantly more profit from their clients through loans and bank products. 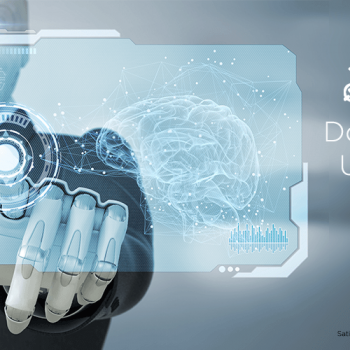 Establishing a robo advisor platform under the initial guise of being a support to the advisor is another step on the path, contributing to strategically institutionalizing a client base. Check, check, check, check. The fear of banks moving to the banker relationship structure and compensation model have been floating around since 2008. While there has been a lot of talk about it over the last 10 years, firms like Bank of America and UBS have been careful to be methodical. The changes they have in mind are so disruptive, it has to be rolled out slowly. But now the strategy has picked up steam and the actions are there for all to see. Tom pulled UBS out of recruiting, he isn’t about kissing new frogs but turning up the heat on the ones he already has. Throw a frog into boiling water and he will jump out immediately. Put him in the same water temperature he is used to and slowly increase the heat to boiling, and he won’t jump out, getting used to the changes incrementally… until it’s too late. Tom Naratili has a long checklist he is working on. He has a lot of the important check marks made, but he’s just getting started and has a long way to go.